Brand loyalty is an ultimate goal for many marketers, but when filial loyalty and brand loyalty are joined, it is time for a celebration. Today, the love for a brand and the love of a couple brought the first-ever Spam wedding to reality when Mark I Love Spam Benson – who last year legally changed his name as a declaration of his love for the brand – wed his fiancée, Anne Mousley, in Austin, Minnesota. 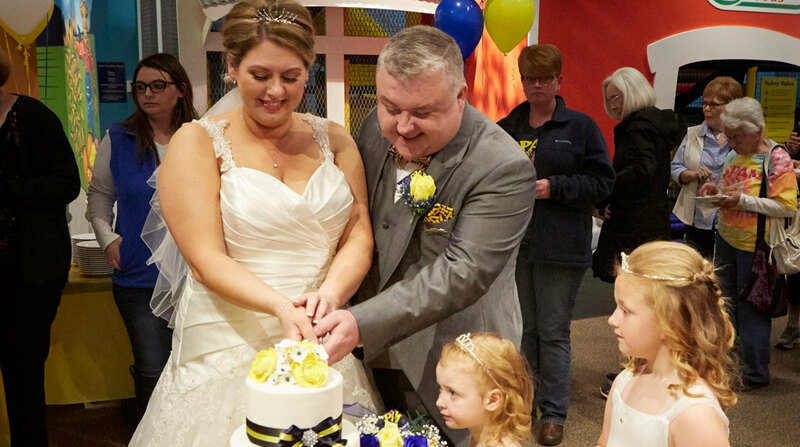 The couple, who hail from Liverpool, UK, were married in a Spam-themed wedding complete with Spam cake and Spam-colored bouquets of roses at the Spam Museum in Austin, Minnesota. 6 Spam Dishes to Try at Waikīkī Spam Jam 2017 Step Aside, Musubi – These Dishes are Staging a Takeover. Hormel Foods announces pollinator garden expansion Hormel Foods employees have been busy bees.